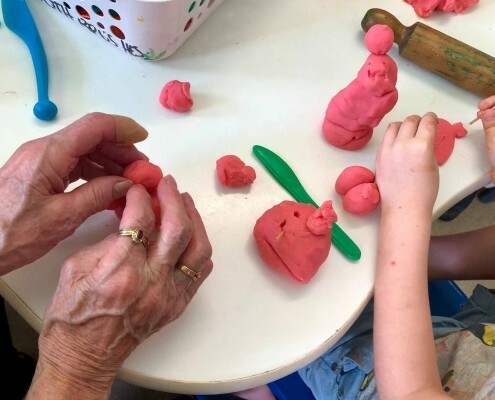 Harbour Town Kindyland recently hosted a group of elderly residents from Ozcare. 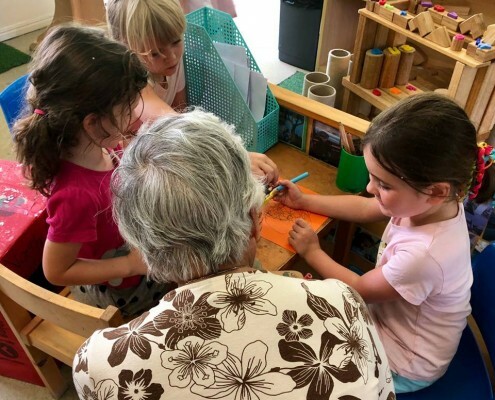 The children were excited to share the morning with their special visitors, discussing what their interests were and what projects they have been working on. 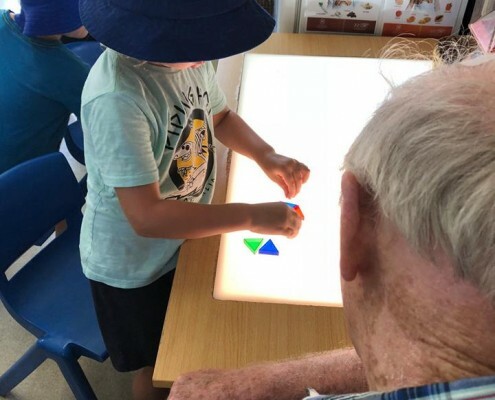 Using the framework of the KITE program (Kids Interacting with The Elderly) Harbour Town Kindyland has commenced regular visits as part of an intergenerational care program. 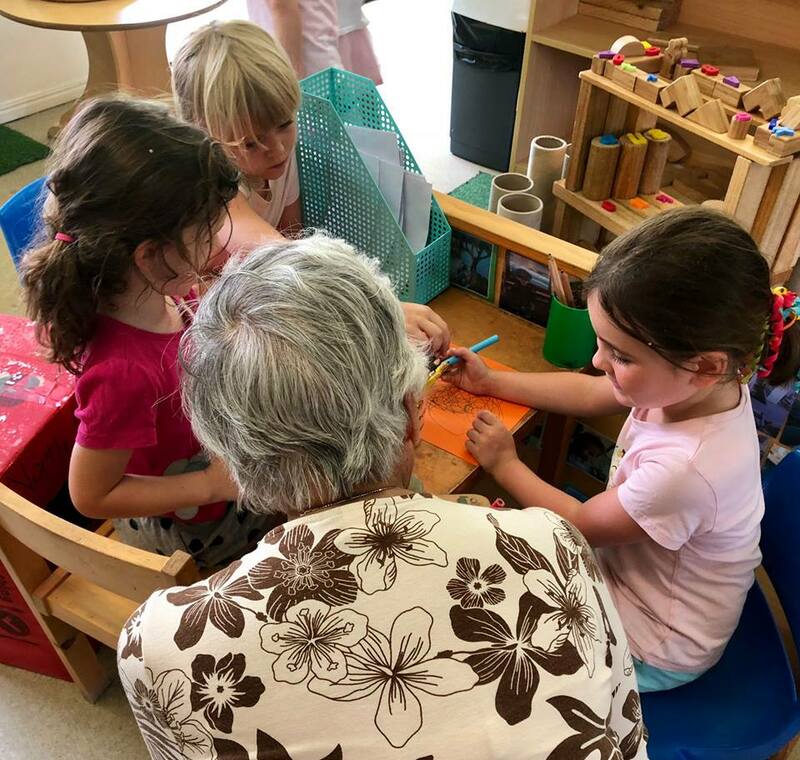 An intergenerational care program is a planned, intentional interaction of different age groups, infant to elderly, in a variety of situations at a level that provides close communication, sharing of feelings and ideas and co-operative activity in meaningful tasks. 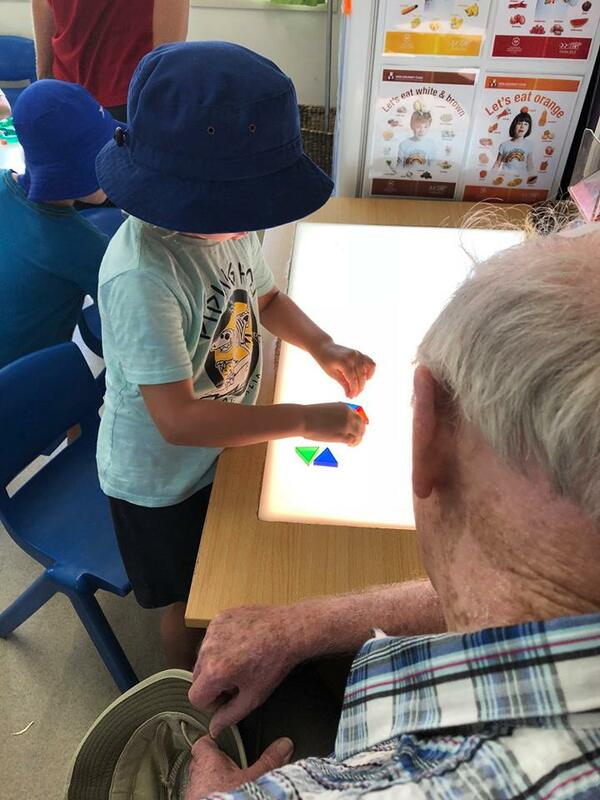 Several children confidently discussed how they used the light table and encouraged one elderly gentleman to join them as they positioned the coloured shapes. 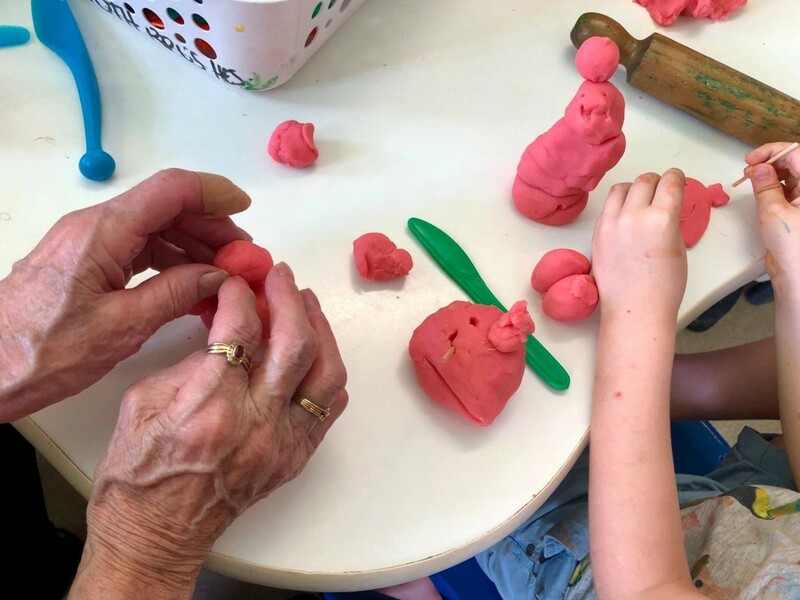 The playdough table became an area of interest for all, with both age groups engaging together, discussing what they were making — an ideal opportunity to practice fine motor skills and maintain dexterity benefiting all ages. 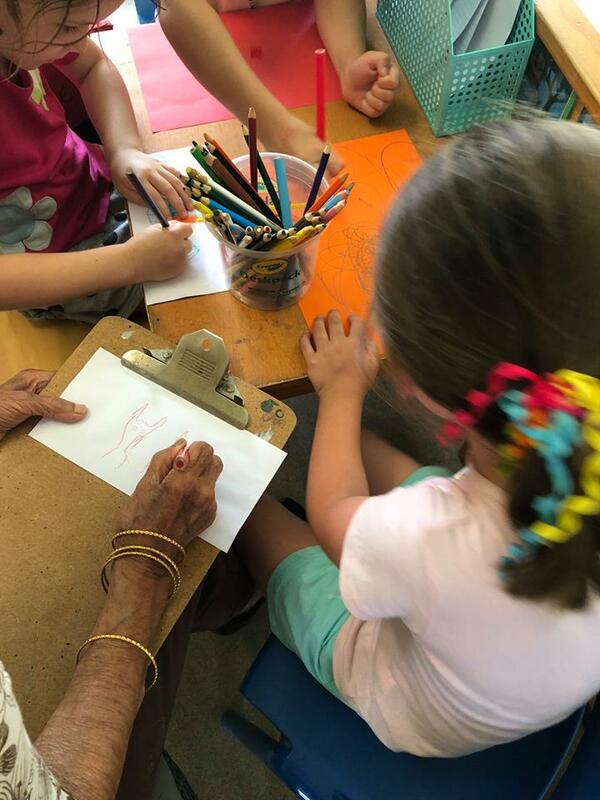 Drawing and craft activities were enjoyed too, with our elderly visitors delighted to be given so many letters and drawings to take with them. We look forward to building upon these interactions and already have special days planned for next year. 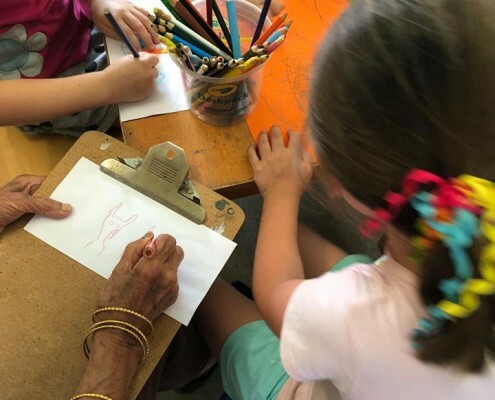 The children were empowered as they helped the elderly and the elderly felt valued and needed as they shared their life experience, both bestowing the values of connection and belonging.